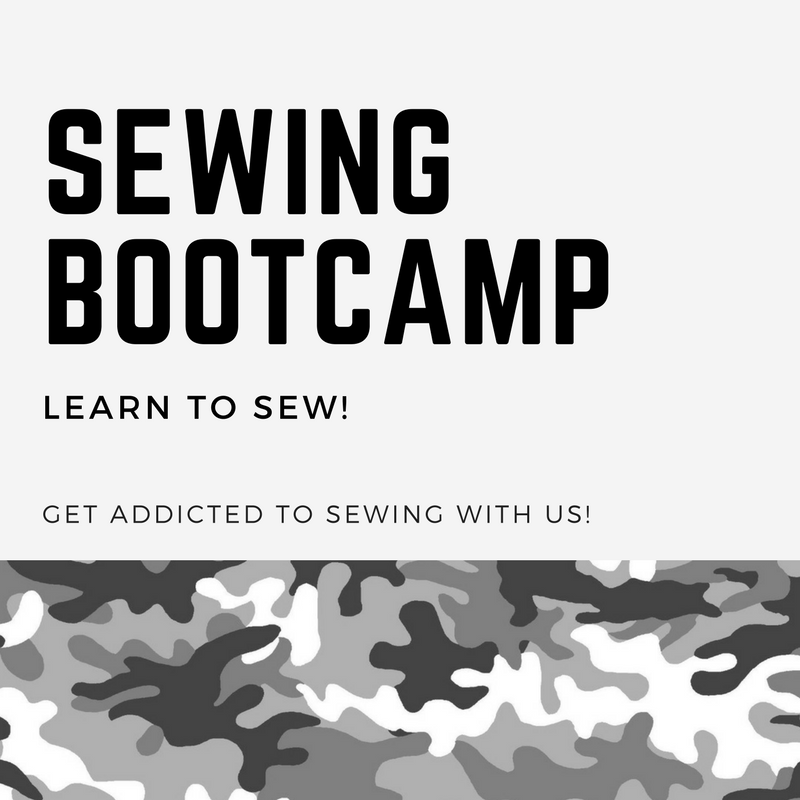 A program focused on introducing you to the art of sewing, but also giving you additional time as needed to become a confident sewer. In this class you will be proud to show off your new sewn projects to family and friends! Examples are a zippered pouch, tote bag, apron, pillowcase with french seam and more. For our sewing addicts that just can't get enough we will have the option for “extra credit” projects to be sewn at home between classes and you may also continue with any of our other sewing or quilting classes. Day One: No need to bring your sewing machine or supplies. Just bring your book. We will discuss the first few chapters, learn how to rotary cut, and sew a small sewing project. All supplies are provided for this class. Day Two-Four: Get ready to roll in the world of sewing. We will jump into creating all of our sewing projects. Our goal is to sew between 2-3 projects total. You receive 10% off all your sewing essentials. Make sure you are ready for each class buy purchasing all the materials needed prior. The teacher will let you know what you need. How to run a sewing machine (we provide the sewing machine), understanding sewing terminology, reading pattern directions, figuring out the little gadgets that come with the sewing machine, selecting fabrics and coordinate, navigating through the fabric store, pinning, ironing, and understanding what notions are needed for your projects. Numerous sewing skills, including zippers, ruffles, buttonholes, binding, pleats, sewing a curve, and machine quilting. $99- Sewing machine rental included. You will need to purchase fabric & sewing essentials.